The 2016 Yukon Quest International Sled Dog Race is over, with one of the Yukon’s own being the final musher to cross the finish line this morning. Rookie Gaetan Pierrard, who lives in Mendenhall, arrived at the Takhini Hot Pools at 8:57 a.m., the 19th musher to finish the race. His placing keeps him out of the cash prizes for the top 10. He will, however, take home the 2016 Red Lantern for being the last musher to cross the finish line in the race that took mushers 1,600 kilometres from Fairbanks to Whitehorse. The journey took Pierrard 12 days, 19 hours and 51 minutes. His arrival came more than seven hours after 18th-place finisher and fellow Yukoner Rob Cooke crossed the finish line at 1:34 p.m. Thursday with a time of 12 days and 28 minutes on the trail. It was a busy day at the hot pools finish line yesterday, with mushers Paige Drobny, Cody Strathe, Andrew Pace and finally Tore Albrigsten also ending their Quest journeys and reflecting on their run through Alaska and the Yukon. “I started this race with very low ambition,” said Albrigsten, a race rookie from Tromso, Norway. Veteran Cooke, meanwhile, reflected on the race’s reputation as the toughest sled dog race in the world. He noted the race lived up to that this year with difficult weather and some lead dog issues in the first 800 kilometres on the trail. “Even without the storm, it’s still a long, hard race,” said Cooke. With the race’s finish line in Whitehorse (originally at Shipyards Park before it was moved to the hot pools due to river conditions), a number of mushing events have been held at Shipyards Park this week for QuestFest. The annual Meet The Mushers event, where fans of the race can talk to and get autographs from their favourite mushers, will get underway at the Mount McIntyre Recreation Centre at 6:30 this evening. Finally, the finish awards and banquet is slated for Saturday at the Yukon Convention Centre. Doors will open at 5 p.m.
Over the course of the race, one musher – Tony Angelo – was withdrawn while another three mushers scratched including J. Jay Levy, Hank DeBruin and Sebastien Dos Santos Borges. It was after his dog Polar died on the trail Wednesday that Dos Santos Borges decided to end his race. Preliminary necropsy results show the two-year-old husky died of a stomach hemorrhage. A full report on the necropsy is expected in a couple of weeks, Quest head vet Nina Hansen told reporters Thursday. It was only six hours earlier that the vet team had examined Polar, and just an hour earlier, the dog had eaten. There were no signs of any health issues for the dog, and Dos Santos Borges’ team had been well-cared for throughout the race, Hansen said. “He’s been taking wonderful care of them,” she noted, adding that the decision to scratch was entirely Dos Santos Borges. Shortly after leaving the Carmacks checkpoint, Polar did not seem to have his usual enthusiasm for running. Dos Santos Borges turned the team back toward the checkpoint, deciding he would drop Polar there and continue the race. Before the team got back to Carmacks, Polar had passed away. 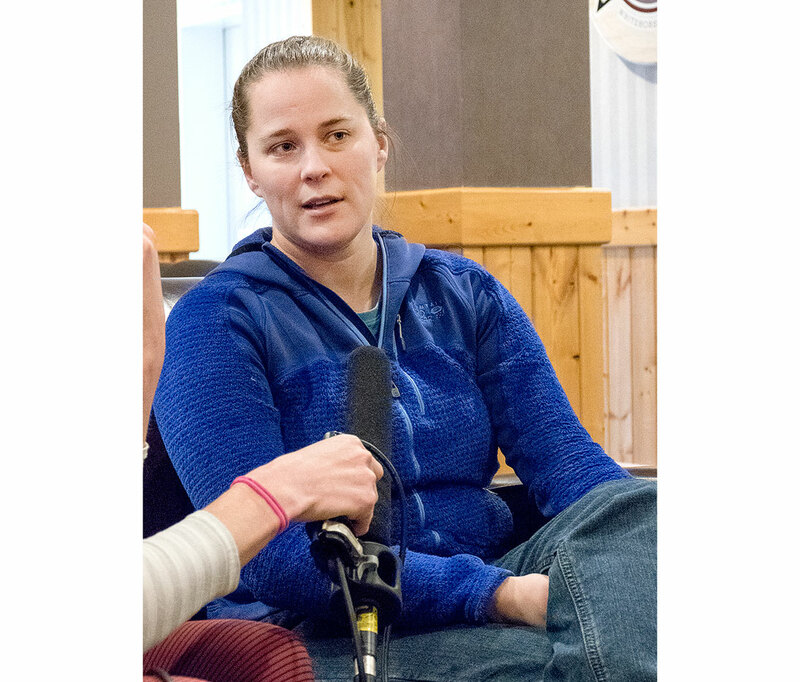 This is the first time Hansen has dealt with a death from a stomach hemorrhage in a sled dog race, and she noted it doesn’t appear to be preventable. Hansen, who has spoken with Dos Santos Borges a number of times since the death, noted it’s an emotional time for the French musher, who has asked for privacy. See related coverage and letter. 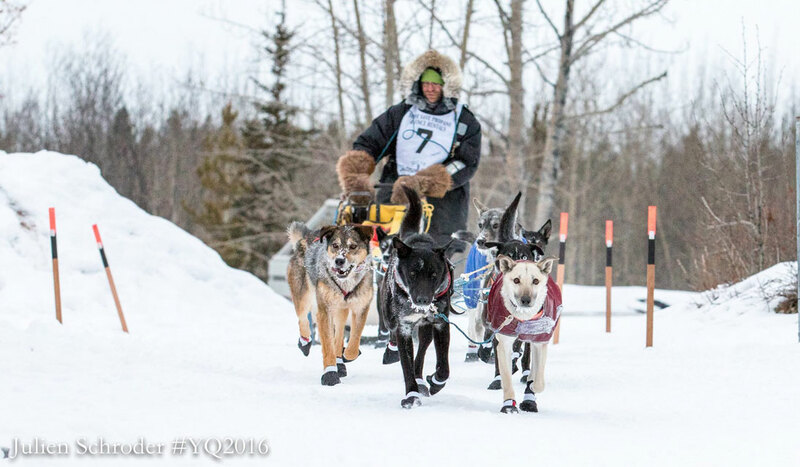 Since Yukoners are doing so poorly, maybe it's time to change the name from "Yukon" Quest to some other country. Well done Gaetan. You finished your first Quest with all your dogs healthy and no issues. You learned a lot, and your next Quest will be even better.